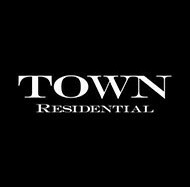 Town Residential is a real estate brokerage firm founded in 2010 by Andrew Heiberger, chief executive officer. The firm disclosed April 19, 2018, that it would cease sales and leasing operations effective immediately, and would focus on new development. Town Residential specialized in residential sales; leasing; the marketing, sales and leasing of property developments; commercial and retail. Named among the Top 50 Best Places to Work in New York City by Crains. At its peak, Town had nearly 600 agents in more than 10 Manhattan, Brooklyn and Queens locations. Town Residential joined forces with South Florida’s Fortune International Group, London’s Chestertons, Chicago's Dream Town, and Toronto's Forest Hill Real Estate to create a network of more than 3,600 professionals within more than 185 offices throughout New York City, Miami, London as well as São Paulo, Brazil; Buenos Aries, Argentina; Punta del Este, Uruguay; Mexico City, Mexico; and Dubai. In 2013, the firm absorbed boutique brokerage Thomas & Ingram, which focuses on sales in the West Village. Heiberger is also the founder of Citi Habitats, a brokerage that initially focused on rentals, which he sold to NRT. My Account page or Subscribe to one of the download plans. Compass is targeting $1B in revenue. Can the firm deliver? HFZ vs. the market: Will Ziel Feldman make money or get burned on one of his most high-stakes projects to date? 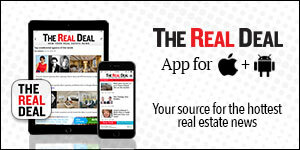 If Dottie Herman cashed out for $40M, what is Elliman worth? The non-profit inked a lease in Midtown. The synagogue sold for $5.9 million from Christine Svenningsen. The property sold for $13.7 million. The property sold for $13.65 million. The company signed a lease for a new sales office. The two-building package, which includes 186 Hester Street, sold for $12.3 million. The residential elevator building with seven stories, 41 units, sold for $28 million. The filmmaker and artist signed a lease for his gallery. The tenant signed a ground floor, five-year lease. The tenant signed a five-year lease. The jewelry manufacturer signed a 15-year lease for the full 15th-floor space. The event management company leased retail space. The developer signed a lease for showroom space for a new condo building. The production studio signed a six-month lease. The jazz lounge signed a 10-year lease. The restaurant signed a 10-year lease. The real estate company leased retail space for five years. Who has the tightest grip on NYC? 450 West 31st Street, New York, NY 10001.